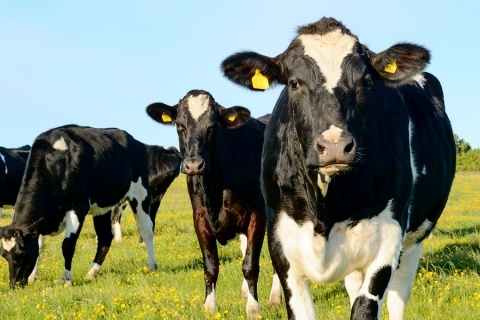 SETsquared Exeter company, Milkalyser Limited, has recently secured £500,000 of seed funding from early stage technology investor, Mercia Fund Management, for an innovative technology that predicts the fertility of cows. Milkalyser were first introduced to SETsquared via Joe Pearce and the SETsquared Exeter team. The SETsquared experience awarded Managing Director, Professor Toby Mottram and his team with pitch training via investor readiness programmes in preparation for the SETsquared Investment Showcase, alongside a network of strong contacts as they prepared to launch their business. Dr Ashish Patel, Investment Manager at Mercia Fund Management, said: “We believe this is an excellent opportunity to diversify our interests at Mercia and invest in a potentially industrial-scale solution to a significant commercial problem in livestock agriculture. In response to the decline of fertility in dairy cows worldwide, Milkalyser Limited has developed an automated fertility management system for dairy farmers. The innovative new technology directly measures the fertility hormone, progesterone, in cow’s milk and provides analytical data to predict ovulation and optimal timing for insemination. This early-stage investment from Mercia will be used to continue developing the product so it can be brought to the commercial market. The long-term vision for the company is to build a data driven platform that allows farmers worldwide to maximise the yields from their livestock. Professor Mottram FREng, the inventor of the Milkalyser platform, completed an Enterprise Fellowship funded by BBSRC with the Royal Society of Edinburgh to build the business model and proof of concept and has been involved in commercialising animal technologies for over 15 years. Professor Mottram has a PHD in robotic milking and is also the founder eCow Devon LTD, a company which provides rumen pH telemetry systems to farmers and scientists worldwide.